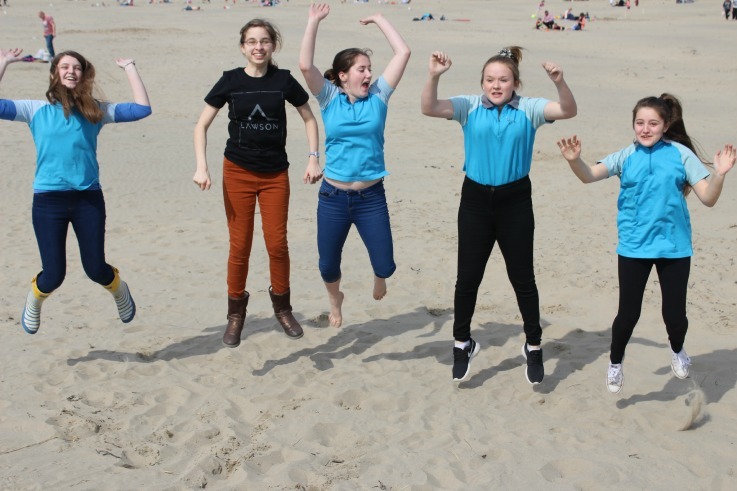 On 8th April, 21 Senior Section members from across the county caught the train from Shrewsbury to spend the day in Barmouth to take part in a team challenge, involving a seaside scavenger hunt, a quiz and a photo challenge. Five teams of Senior Section from several of our Shropshire units took part in the challenge. All teams met up for a fish and chip tea before getting the train home. Thankfully the weather was good and all participants enjoyed themselves. Teams were given extra points for originality with their interpretation of the photo challenge and more of their entries, plus the winning team with their prizes, can be found on the Senior Section Facebook page.